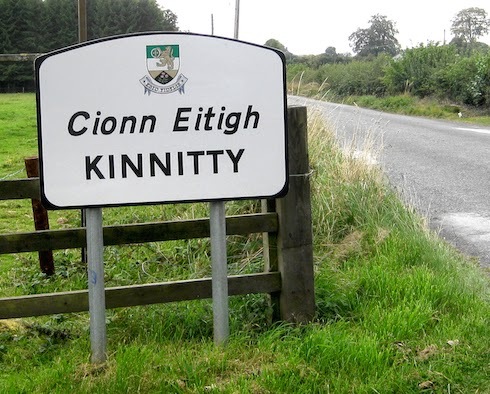 KINNITTY in Co.Offaly sits at the foot of the Slieve Bloom mountains and has had a variety of names throughout the years from Cinneity, Kernittys, Killenitty and the Irish Cinneitigh. 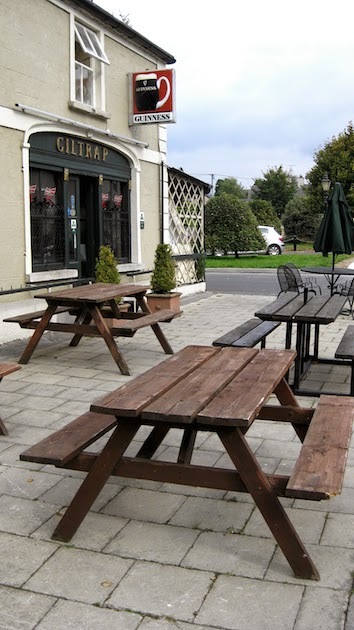 Today in Irish the name is spelt Cionn Eitigh, meaning either the head or hermitage of Etech or Eitigh (St. Ita), who also gave her name to the neighbouring parish of Ettagh. 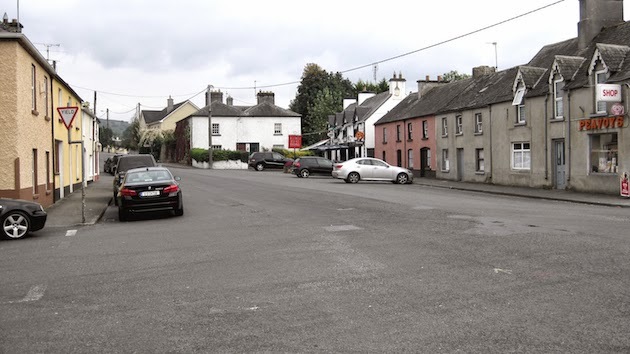 One of the first notable things about Kinnitty is the very wide streets and it would be easy to believe that they were recently constructed until you see the age of the buildings which border them. 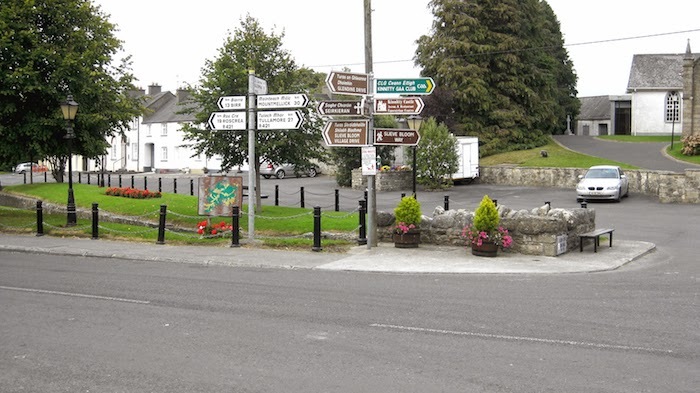 The village consisted of five houses at the end of the eighteenth century and had grown to ninety-six dwellings by 1841. The Bernard family who were the estate owners built the RC Chapel circa 1841. They offered the then parish priest Fr. 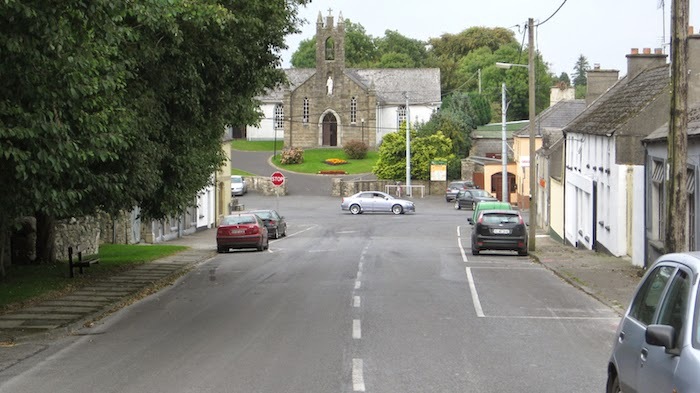 Delaney a house for himself and his successors and 10 acres of land if he would let them build a chapel at their own expense. Fr. Delaney refused but the Bernards went ahead anyway and the bishop compelled him to use the chapel. This picturesque chapel now hosts a great many weddings, with many of the wedding breakfasts being held in either Giltrapp's, The Slieve Bloom Bar or The Kinnitty Castle Hotel. I wonder if the pump is dry too ? 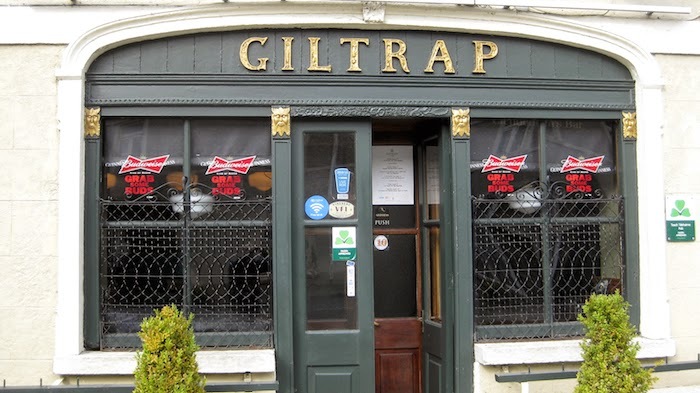 A great pub for a good pint of Guinness ! well you would be wrong for it sells groceries, bread, butter and ice-cream. 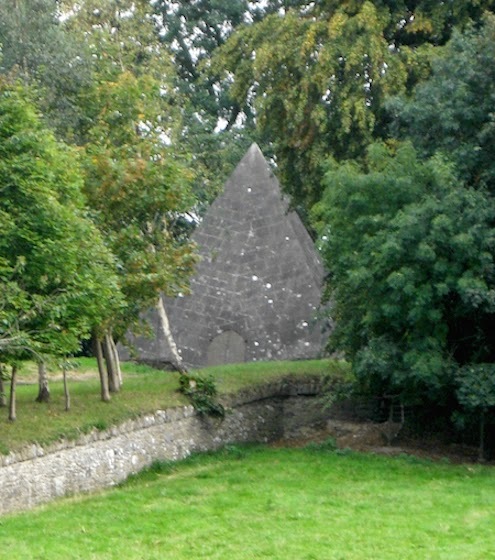 The Kinnitty Pyramid, the only one of its kind in Ireland, is situated in the graveyard of the Church of Ireland. It stands 30 feet in height and was built as a crypt by Lt. Col Richard Wesley Bernard for his family on his return from Egypt in the mid 1800's. It is an exact replica of the Pyramid of Cheops in Egypt. made from steel which lead down to the interior. The tomb holds 6 coffins belonging to the Bernards of Kinnity Castle with the last burial taking place in 1907. 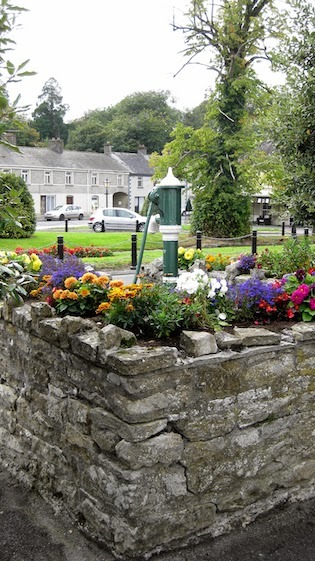 We often stop at Kinnitty on our way home from Birr with our weekly shopping as it is such an attractive, tidy and friendly village. 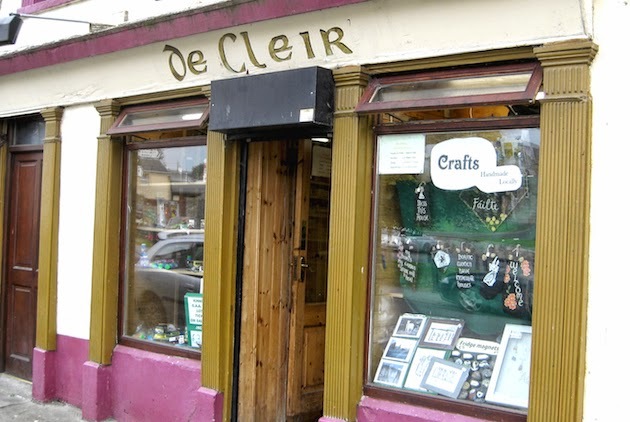 For me it represents many of the Irish towns and villages across the island and is a place we never get tired of visiting. 1Scotland is a country, and like any other country it deserves to get the governments it votes for. As part of the UK, that happens well under half of the time. We don’t affect the outcome of UK elections, so the rest of the UK doesn’t need our help - so why keep subjecting ourselves to governments we rejected at the ballot box? 2Scotland will be wealthier as an independent country than it will inside the UK. Even before you discuss possible savings from policy changes (like more sensible defence spending), Scotland subsidises the UK by billions of pounds every year, according to Westminster’s own figures. The longer we stay in the UK, the poorer we’ll get. You’ll never get a UK government minister or a No campaign figure to actually say straight-out that Scotland is subsidised by the rest of the UK - give it a try if you like. Instead they’ll try to confuse the matter and change the subject by talking about things like spending and debt (see the Questions section of Chapter 2) in order to make you believe it’s true without having to directly lie to you. Think about it this way - if Scotland was actually being subsidised by the rest of the UK, don’t you think the No camp would be shouting that fact from the rooftops every minute of every day? 3Scotland’s future is bright. Oil will last for decades yet, and we sit on the brink of a renewables bounty that could make the entire historic output of the North Sea pale into insignificance. But the UK can’t be trusted to manage it - Scotland is the only country in the world ever to discover oil and get poorer, and unlike almost every other oil-rich nation, Westminster put nothing aside for a rainy day. It also hid Scotland’s wealth from its people for 30 years. 4We have nothing to fear but fear itself. Threats that Scotland will be ejected (even temporarily) from the EU are hollow, impossible to ever put into practice. The same applies to border controls. Nobody can stop us from using the pound. No country poses a military threat to Scotland, and the only reason terrorists might attack us is because we’re part of the UK. We’ll still get to watch the BBC. 5People are sensible. At the moment, the No campaign has a vested interest in making things sound like they’d be as difficult as possible for an independent Scotland. 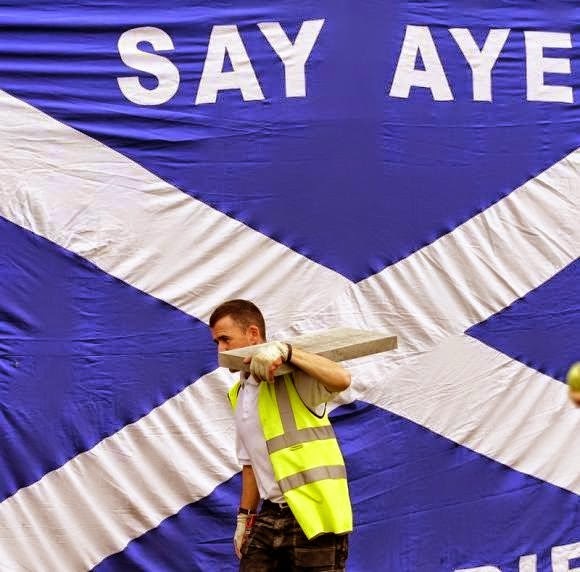 But the day after a Yes vote, the opposite instantly becomes true - it’s then in everyone’s interest to sort everything out as quickly and cleanly as possible. If you accept that the EU would want Scotland as a member - and it would - then nobody gains from making that process slow and complicated and awkward. If you accept that the rUK and an independent Scotland would still be major trading partners and allies - which they would - then nobody gains from a hostile, drawn-out negotiation process. All parties will seek the best deal, of course, but businesses and people alike want life to continue with as little disruption and upheaval as humanly possible. Nobody wins from a negative approach, and no government will cut its nose off to spite its face.